A wild fox kit, waking from its slumbers to keep a watchful eye on me! 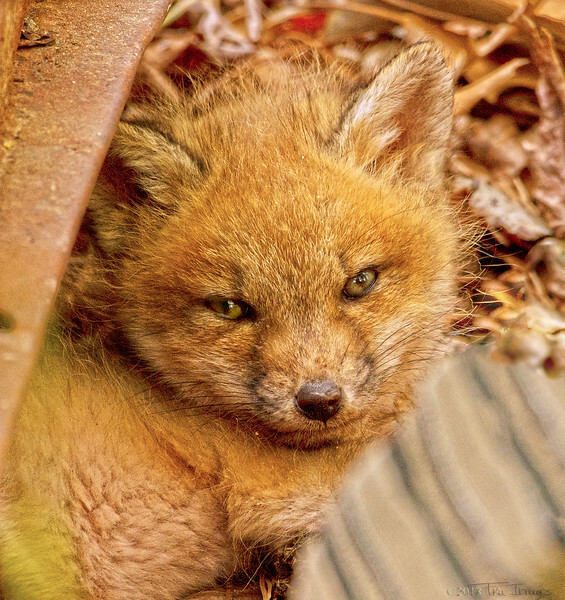 You did a wonderful job capturing wild fox kit. What a sweet face--love those golden eyes. Nice Capture. I Agree with Cute. Definitely a LOT of cuteness! Fantastic photo - such a wonderful expression!